God is my portion, and my cup: Humble Before God. He Will Lift You Up In Honor! Humble Before God. He Will Lift You Up In Honor! Gideon was threshing wheat at the bottom of a winepress to hide the grain from the Midianites. He was afraid of the Midianites, and also one of the Israelites, who questioned why they were suffering from the Midianites. It was one of the days, not much different from other days. 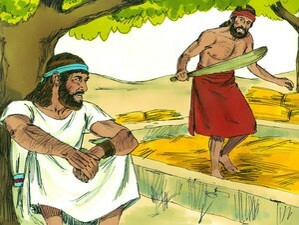 Gideon just did his daily job, like other Israelites while fearing of the Midianites. 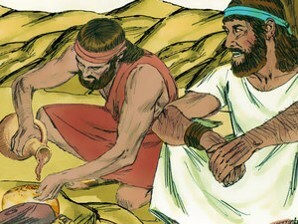 Hiding from the plain view of the Midianites during their daily jobs was a common practice for all Israelites. Over the last seven years, Gideon and the entire Israelites had been suffering under the oppression of the Midianites. Did they pray to God? Yes, they did, but the oppression had not been diminished despite of all prayers. Gideon and the rest of the Israelites heard many times about the great work of God, who brought them out of Egypt. However, they had not seen God’s might hand for long time. Then they started questioning why they could not see the mighty power of God although they prayed day after day to God. They were truly getting weary and starting giving up. They even felt that God had abandoned them, and handed them over to the terrible Midianites, who were much worse than themselves before God. However, they did not forgot they were the chosen people of God. We know why the Israelites were suffering. They turned their backs on God to worship idols so God allowed the Midianites to treat them badly for seven years. Their suffering was enough to make them bring really low. One by one, the entire Israelites started looking up God and cried out for God’s help instead of going back to their idols. God saw their heart was ready. God started moving His mighty hand. First, God picked up Gideon. Why, Gideon? Because he was special? No, he was an ordinary person like any of the other Israelites. Gideon was also in fear of the Midianites. In fact, he was cowardly hiding at the bottom of a winepress to hide the grain from the Midianites, when the angel of God came to him. “But Lord,” Gideon replied, “how can I rescue Israel? My clan is the weakest in the whole tribe of Manasseh, and I am the least in my entire family!” Gideon could not understand. He was cowardly hiding in fear of the Midianites. Gideon was told to rescue Israel with the strength that Gideon had. He could not believe what he was told. Gideon knew he was not so strong to liberate the Israelites from the oppression of the Midianites. 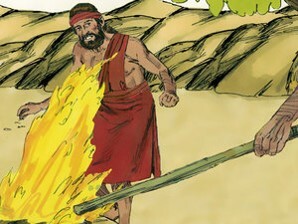 His family was weak and not so famous among the rest of Israelites. Thus, if he said anything, nobody would pay attention to him. He was nothing. He confessed his nothingness. He could not do anything with his own strength. He responded with his humility. God saw his humility, and loved Gideon. God, who knew exactly Gideon’s humble heart. God encouraged Gideon by telling, “I will be with you. 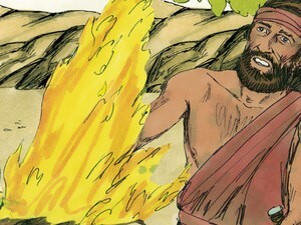 And you will destroy the Midianites as if you were fighting against one man.” Yes, God, the Omnipotent God, made a solemn promise to Gideon, a mere and lowly human, “I will be with you.” It was a truly extraordinary moment, but Gideon still did not know he was talking with God through the angel sent by God. Gideon could not believe what he was hearing. He would destroy the numerous and mighty Midianites as if he would fight against just one man. With courage, he decided to ask again to the strange person. He remembered Abraham who actually served angels when Abraham kindly offered food to the strangers visiting Abraham. Gideon decided to do the same thing as Abraham did while thinking the stranger might be the angel sent by God. Gideon’s heart was in joy, and he hurried home. He cooked a young goat, and with a basket of flour he baked some bread without yeast. Then, carrying the meat in a basket and the broth in a pot, he brought them out and presented them to him, who was under the great tree. The angel of God said to him, “Place the meat and the unleavened bread on this rock, and pour the broth over it.” And Gideon did as he was told. Then the angel of the LORD touched the meat and bread with the tip of the staff in his hand, and fire flamed up from the rock and consumed all he had brought. And the angel of the LORD disappeared. Gideon built an altar to God there and named it Yahweh-Shalom (which means “God is peace”). The altar remains in Ophrah in the land of the clan of Abiezer. Gideon was finally realized that he was called by God. He was talking to the angel of God. Although Gideon was mere a lowly ordinary man from the small clan without any special strength, power or influence, God came to call Gideon. God initially told Gideons, “God with the strength you have, and rescue Israel.” He humbly replied, and he neither had a strength to save the Israelites nor an influence to mobilize the entire Israel. He humbly, authentically and honestly responded to God, and this made God pleased. Gideon saw Gideon was ready for God’s grand plan of rescuing the Israel from the ruthless Midianites. God has a plan for each of us, because He dearly loves us as the One and Only One Ever-Loving Father. Sometimes we feel that God is not with us anymore by abandoning us. Our enemy in our lives continuously oppresses, and our lives are full of pain. Although we pray to God, nothing seems changed. As days and months pass, we feel utterly helpless. However, the pain and hardships are not random events getting into our lives, but they are a sign of God’s patience. God patiently waits till we are truly ready before him with truly humility and absolute faith in God. Yes, there has been and also will be unceasing temptations from our enemy, who whispers to our ears – taking off our eyes from God and following the easy and tangible temptations manufactured by our enemy. Please let’s resist the temptations, and continue fixing our eyes on Our Lord, while humbly putting us down before God as Gideon did. This truly pleases God. Only when we are truly humble in faith before God, God uses us for His glorious plan. Let’s not forget God’s promise, “I will be with you.” Our God, the creator of the entire universe, is always with us whether we are in doubt, in faith, in pain, or in joy. Thanks to God, whose love toward us endures forever. Praise Our God, Ever-Loving Father to all His children! 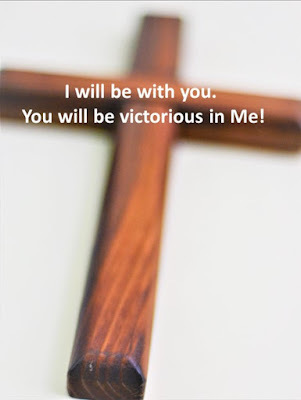 Faith -- God Is Always With Us!